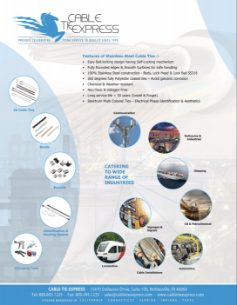 Looking for additional information about our products? Browse through our resource library. 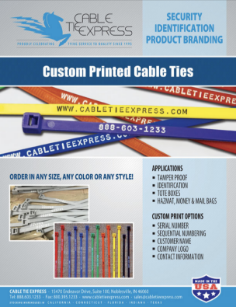 Download the Product Catalog to have product information for Cable Tie Express zip ties, mounting, and electrical products at your fingertips. Click below to download each of the PDF documents.